We start with an x-ray to see the size and shape of the root canals, and determine if there is any infection in the surrounding bone. After anesthesia, we place a rubber ring around your tooth to keep it dry, and create an access hole to begin removing the pulp and decayed nerve tissue. Once the tooth is clean, we seal and fill it with a sealer paste and a rubber compound, putting a filling in the access hole. 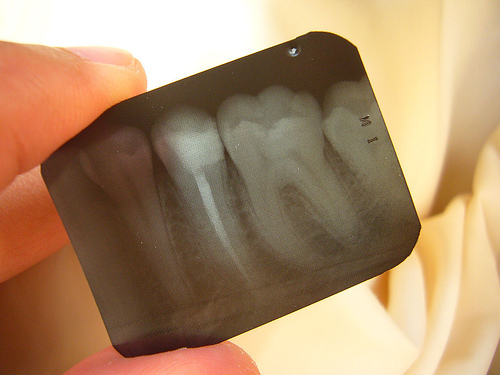 Depending on the severity of your case, you may require a crown to protect the tooth. This will prevent it from breaking, and restore it to full function. Regardless of whether you get a crown or other restoration following the root canal, you should brush and floss regularly. See us every six months for a cleaning and exam. Please call us with any questions about the procedure We'll be glad to talk you through it.